The A-class is packed with technology. Mercedes-Benz Canada is projecting an even split in sales between its two A-class body styles: the hatchback that joins the North American market as the A-class enters its fourth generation, and the all-new sedan introduced to the media for the first time this week in Seattle, Wash.
Mercedes initially hesitated to bring the A-class to North America because of its small size, but the CLA's success showed that consumers would embrace a smaller sedan. The CLA was previously the entry-level Mercedes four-door sedan. The A-class sedan will launch with a new 2.0-litre twin-scroll turbocharged inline-four-cylinder engine rated at 188 hp and 221 lb.-ft of torque with a seven-speed dual-clutch automatic transmission. Both the sedan and the hatchback are available with front- and all-wheel-drive. “The 4Matic will be the choice of most buyers, so maybe 20 per cent [will choose] front-wheel drive and 80 per cent all-wheel drive,” Lee said. 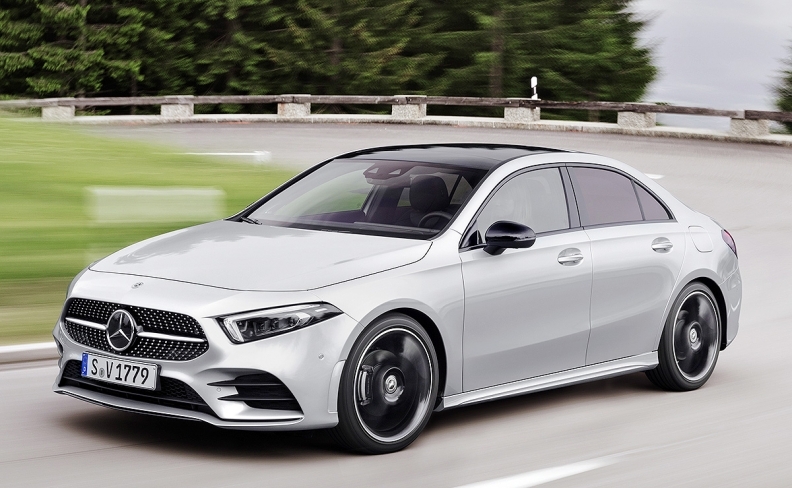 A full pricing structure is yet to be announced, but Lee said that Mercedes-Benz Canada is working to deliver the A-class sedan 4Matic with the Premium Package for less than $40,000. While the hatchback will be built in Rastatt, Germany, the sedan version will be built for all markets at the new Mercedes-Benz assembly facility in Aguascalientes, Mexico. It slots into the product line-up below the CLA, which will remain on sale with added feature and design content as standard to move it up-market. “You’ll have a sportier CLA than today,” Lee said. The Mercedes Me service will be available on both new A-class models and all model year 2019 vehicles except the B-Class. It adds the ability to use a smartphone app to remotely lock and unlock the car, send an address from the user’s computer or smartphone to the on-board navigation system, check tire pressures, and track the vehicle’s location, among other features. It also enables internet connectivity for the Linguatronic voice-activated personal assistant. The service will be provided free to Mercedes-Benz buyers for three years, a timeline that Lee said is in line with the company’s typical lease pattern. “People in the entry-level luxury segment do tend to lease their cars, and for a three-year period, so this would be covered for their lease term,” Lee said. Pricing for this service at the end of the three-year period has not yet been announced. The A-class hatchback will arrive late in 2018 and the sedan early next year, both as 2019 models. An A 35 AMG hatchback is expected to be revealed at the Paris Motor Show but will not be available until, at the earliest, the 2020 model year.